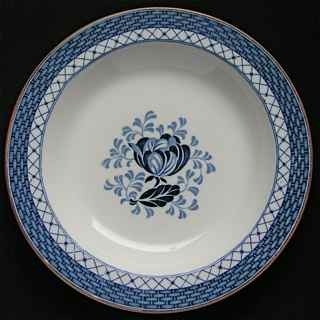 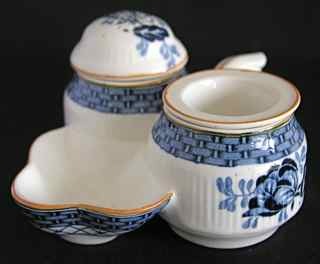 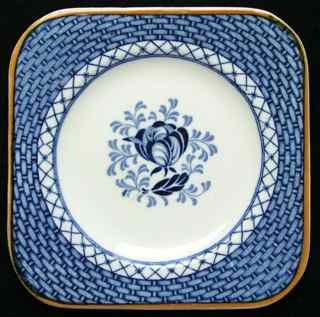 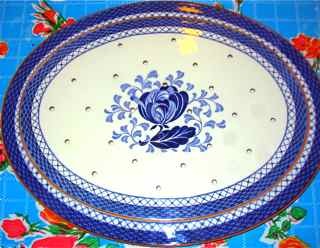 This attractive blue and white pattern with a basketweave border design dates from 1926, and was produced throughout the 1930s. 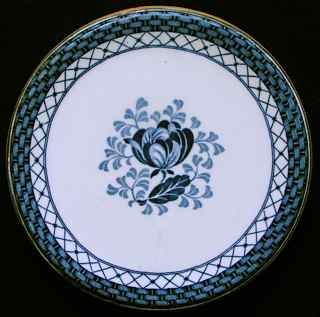 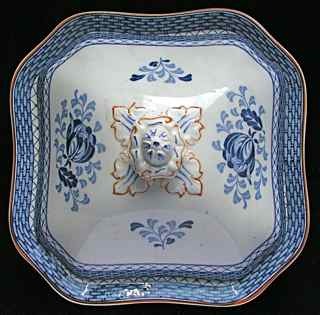 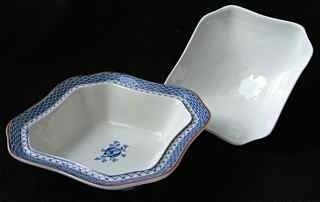 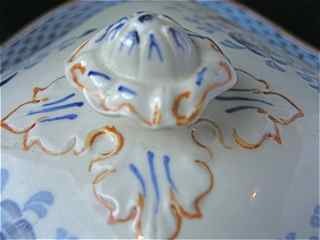 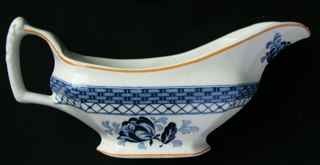 Designed by Frederick Rhead, it shows a distinctive Danish or 'Copenhagen' influence. 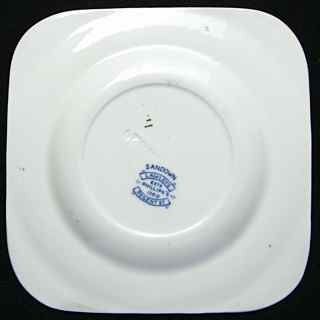 Items generally have Wood's 'King' mark, but if destined to be sold in Lawleys chain of shops feature LAWLEYS' mark instead. 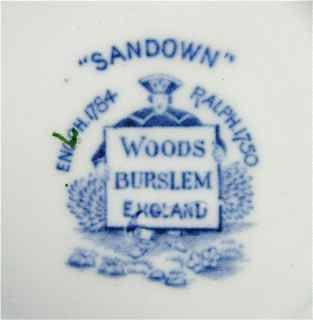 Both versions were made by Woods and are identical apart from the different backstamp. 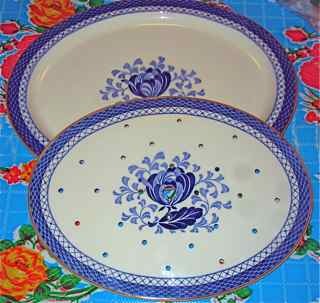 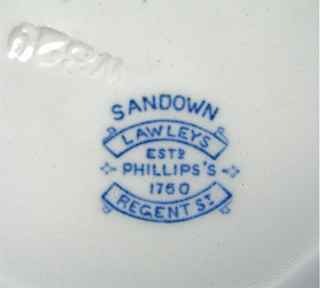 A green Hankow plate is shown right, next to a SANDOWN plate for comparison. 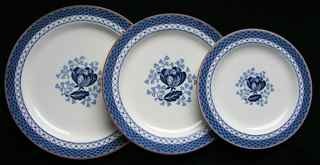 All the items below are the same shade of blue. 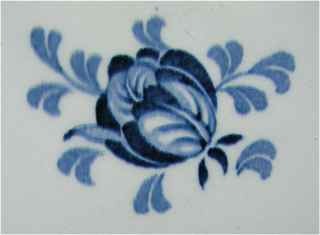 Any apparent variation is due to lighting conditions alone. 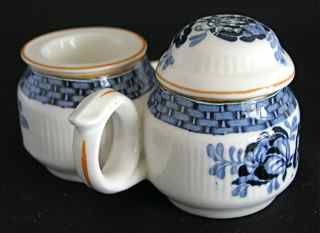 Removable pepper and mustard pots, with open salt scoop. 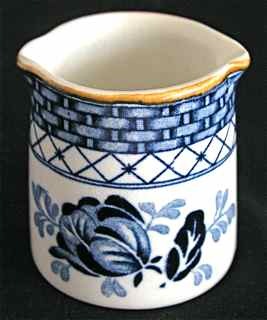 A hard-to-find item! 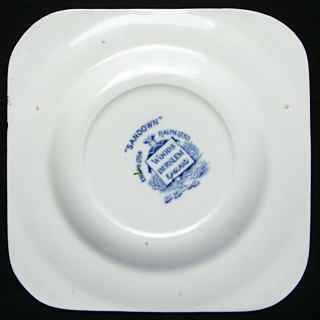 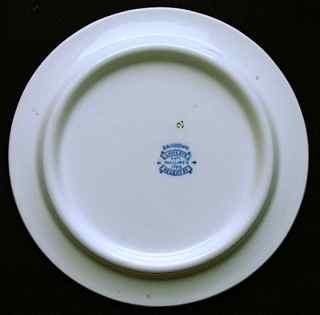 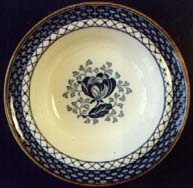 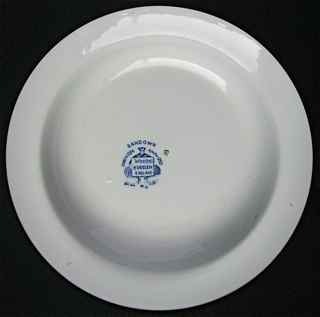 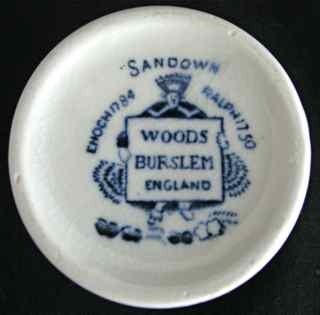 Available with Woods or Lawleys mark (Lawleys were the London retailers who sold this design, along with several other Woods and Booths lines). 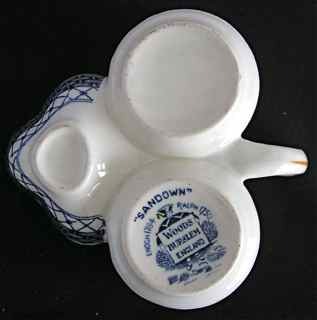 We have seen two different shapes of cup - high and low. 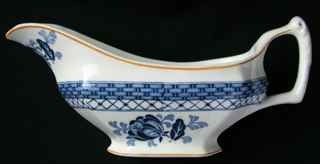 This is the high shape. 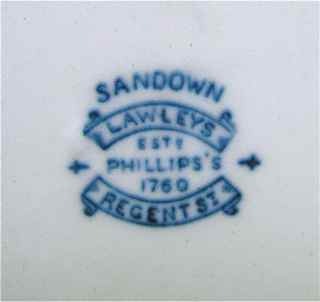 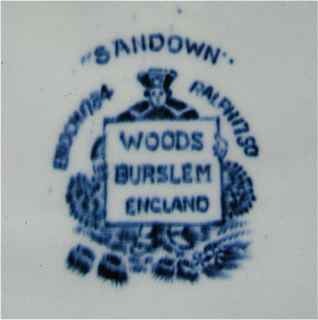 The mark indicates this was manufactured by Woods for LAWLEYS shop in London's Regent Street. 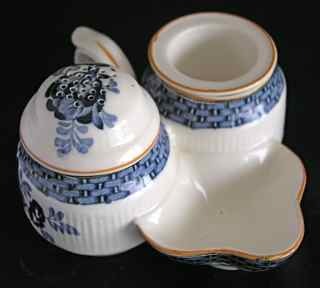 Note the ingenious oval shape of the lid and opening. 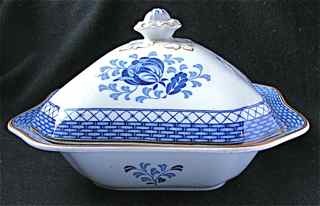 To lock the lid, it is turned through 90 degrees.